These pancakes are the perfect summer inspired treat and also versatile as you can switch out the strawberries for any fruit you like! *if you choose not to use buttermilk, let your milk and vinegar sit for a few minutes before adding to your batter. Combine ingredients to make your pancakes. Measure out 1/3 cup of batter and cook a few minutes on each side. Microwave your strawberries to soften them then add your yogurt of choice. 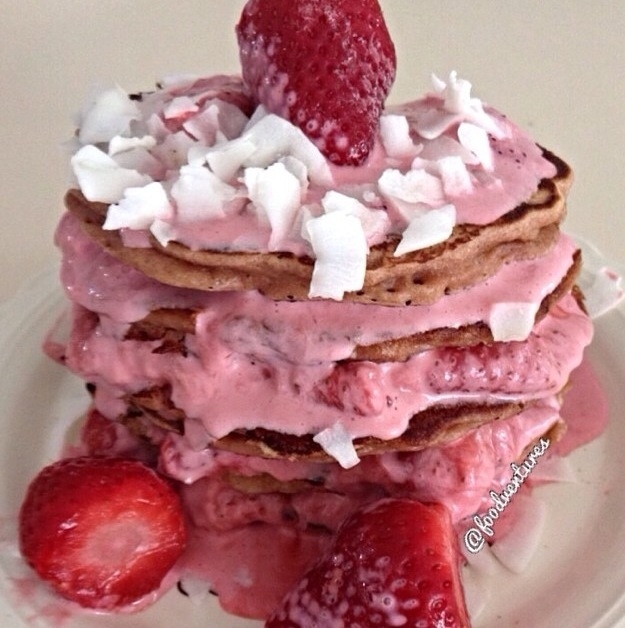 Layer your filling between each pancake.